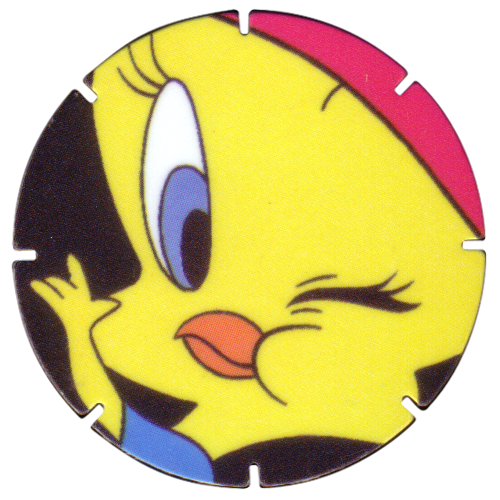 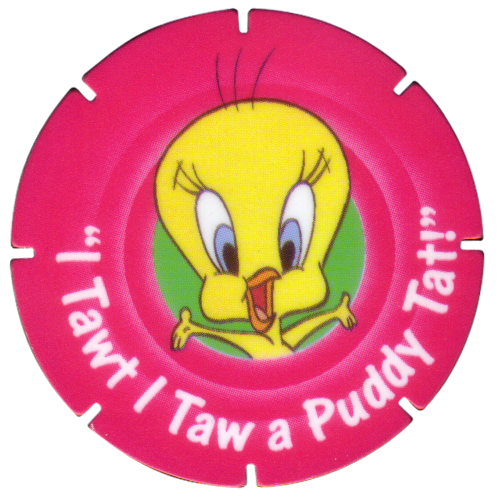 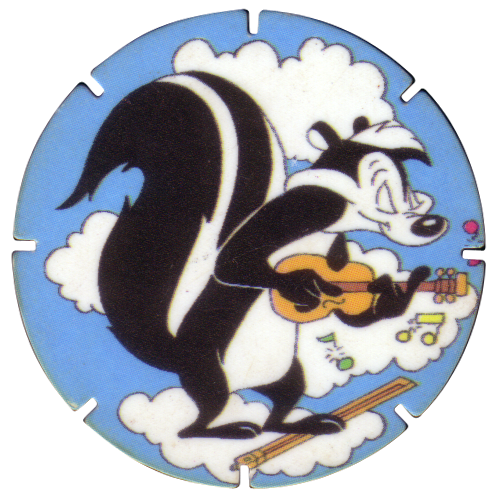 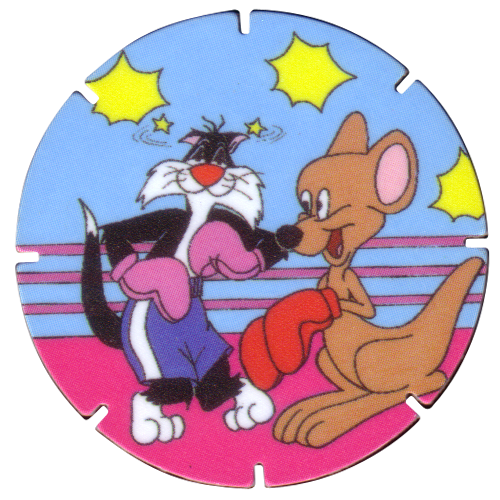 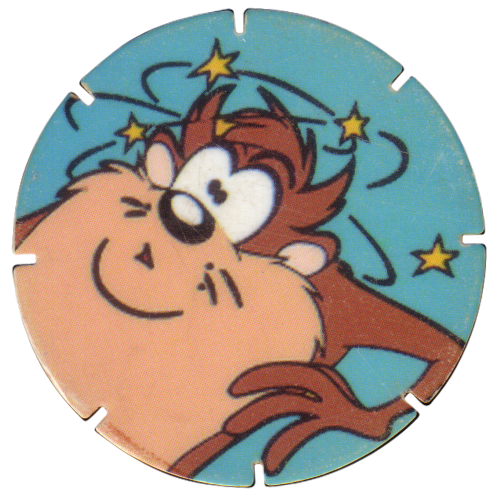 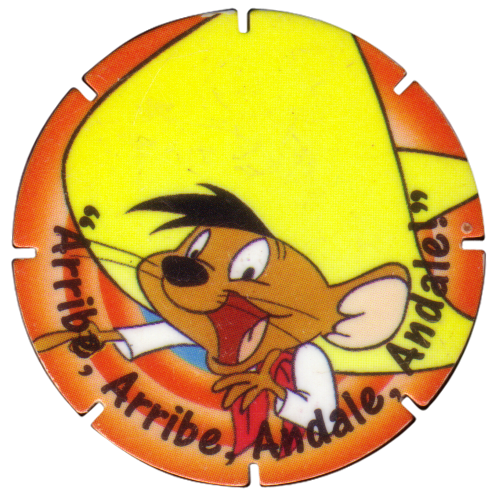 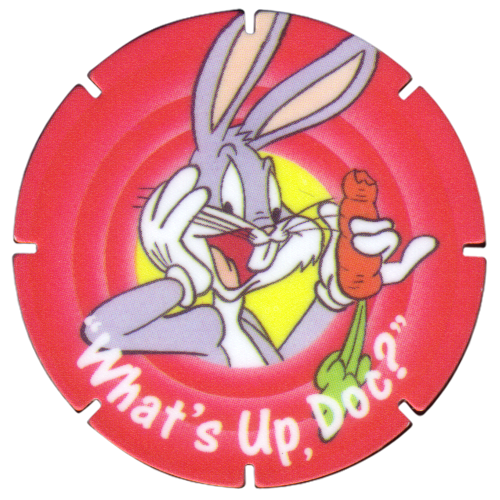 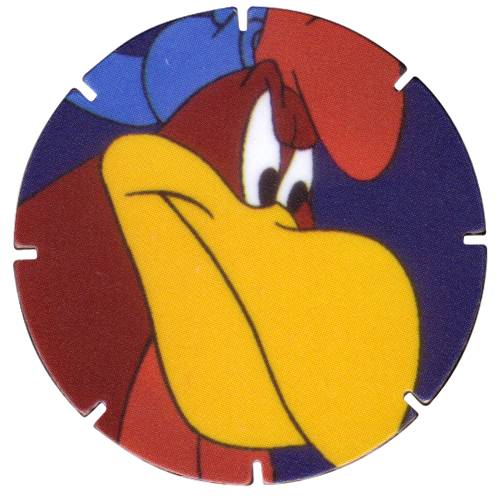 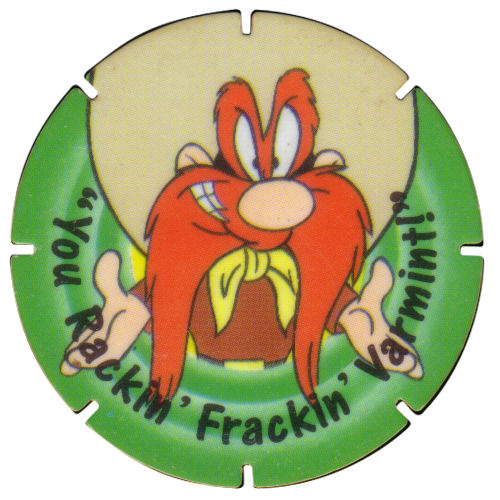 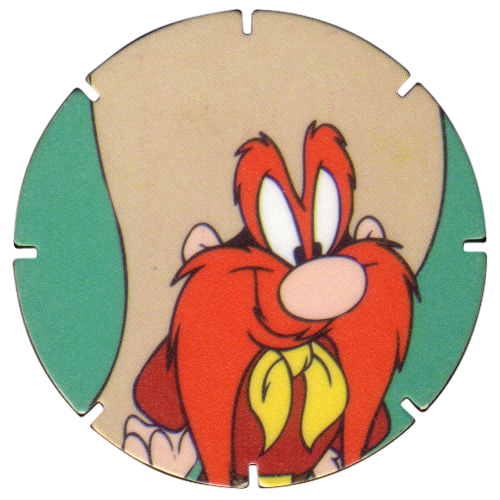 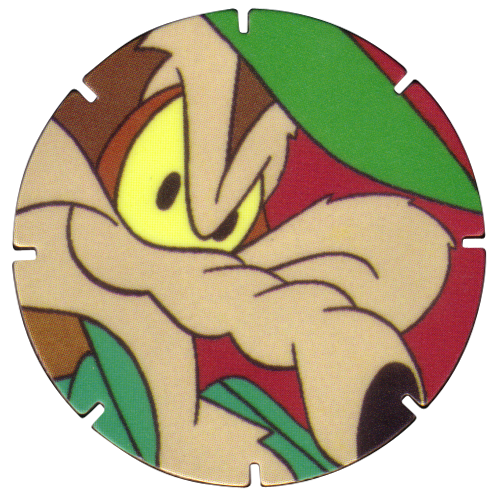 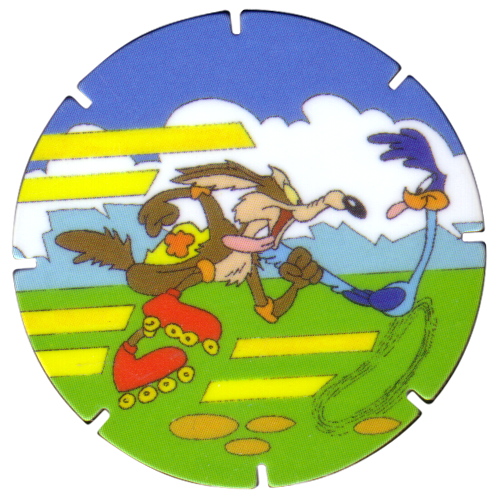 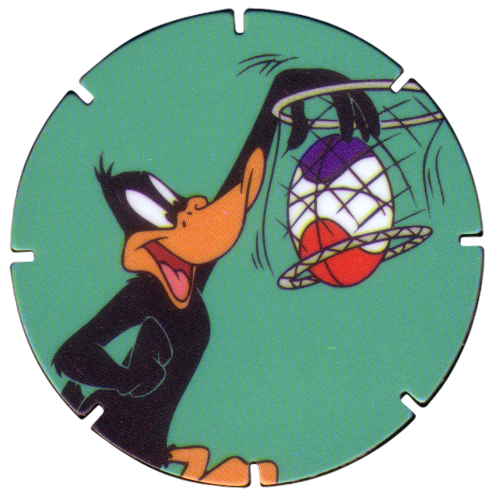 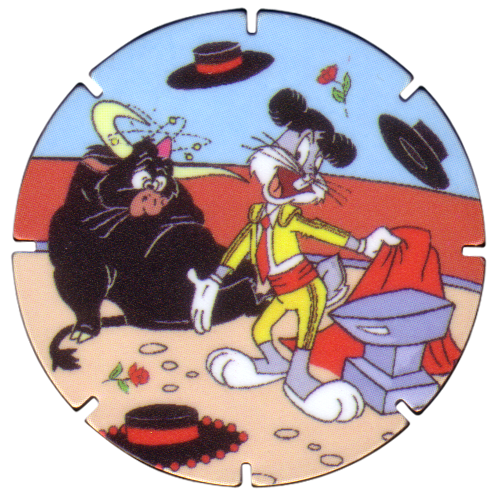 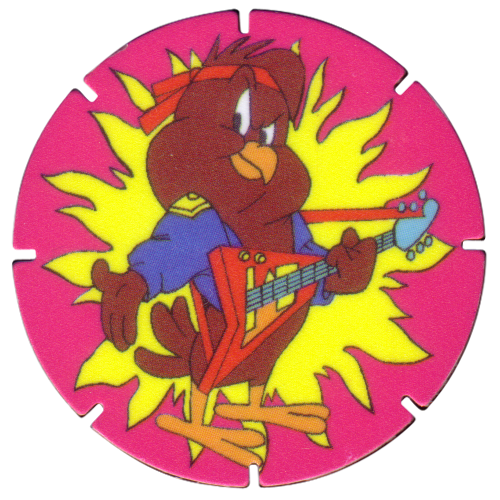 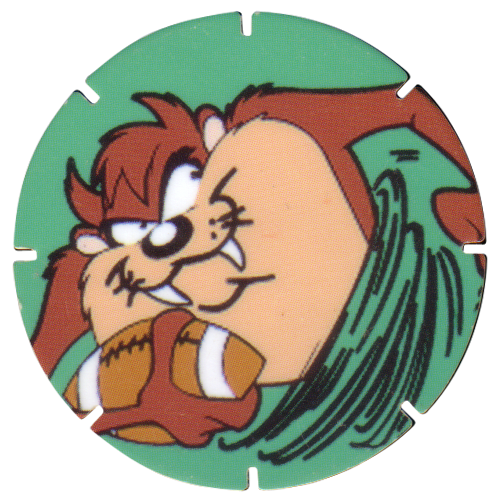 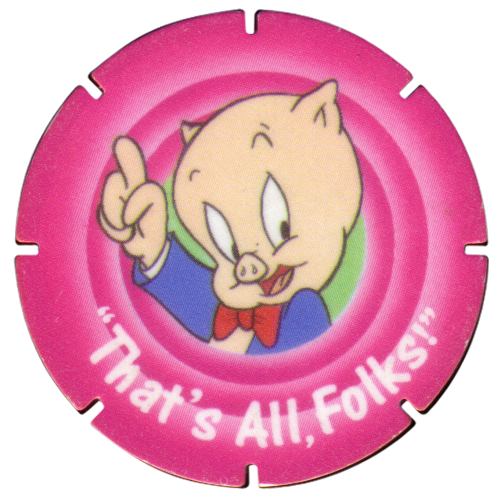 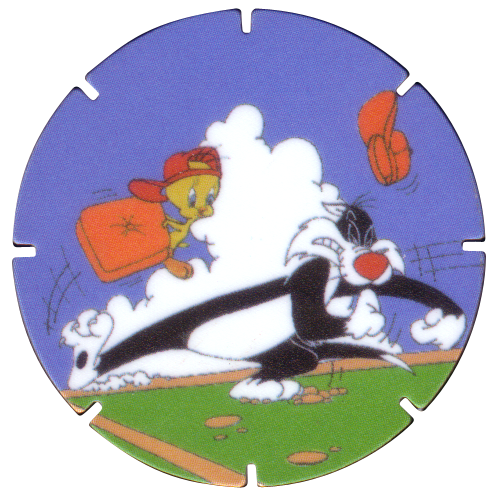 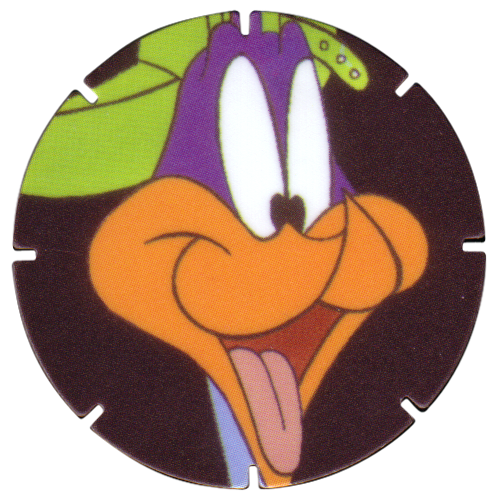 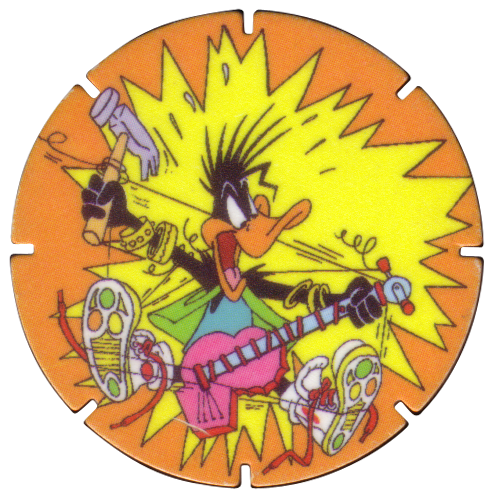 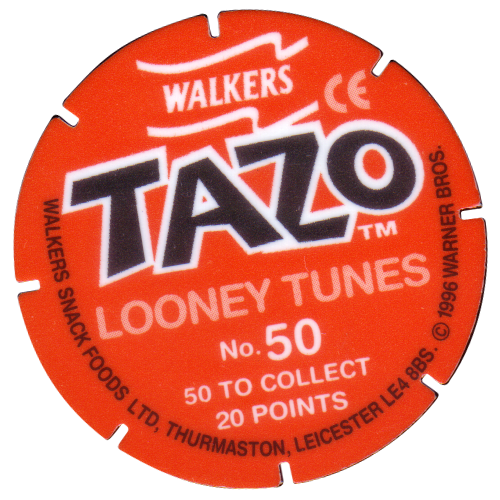 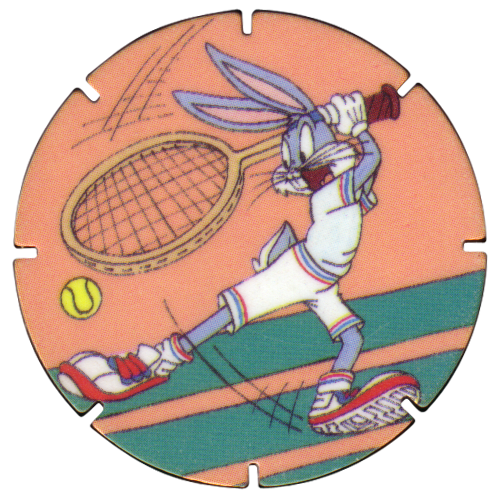 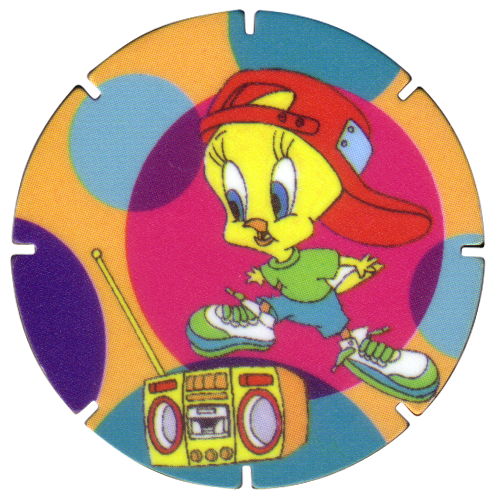 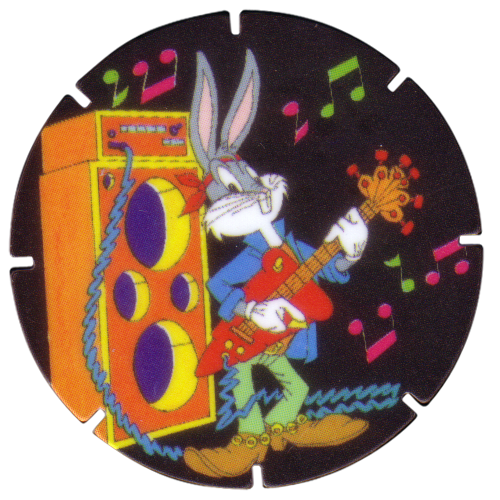 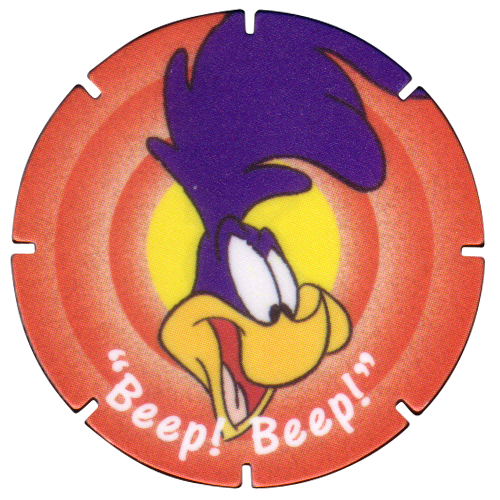 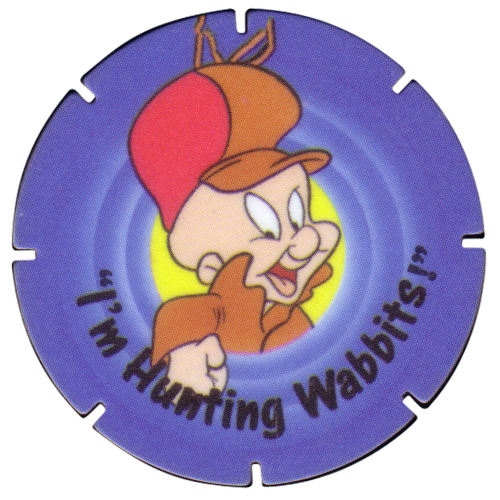 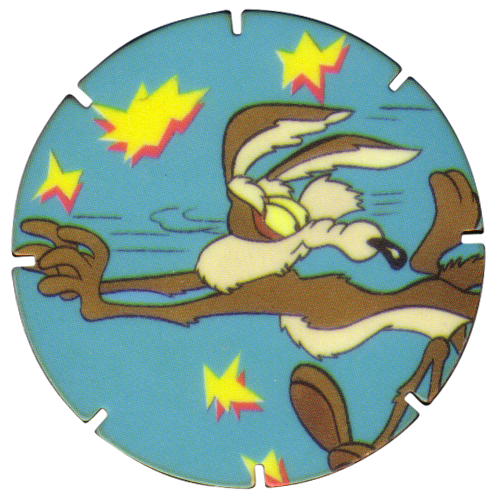 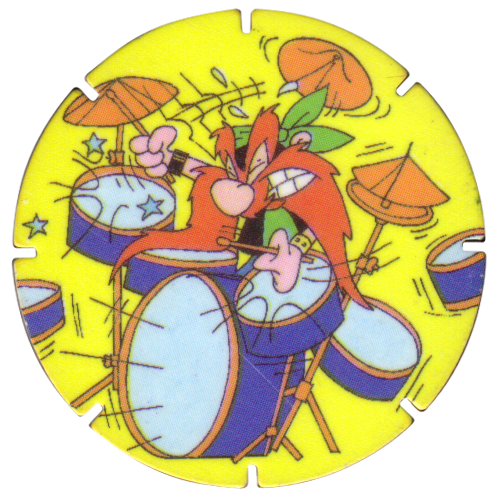 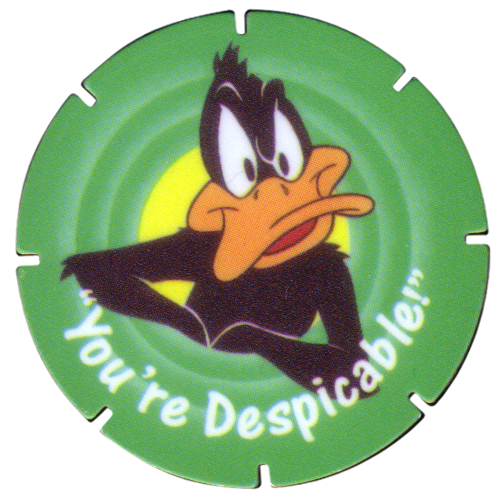 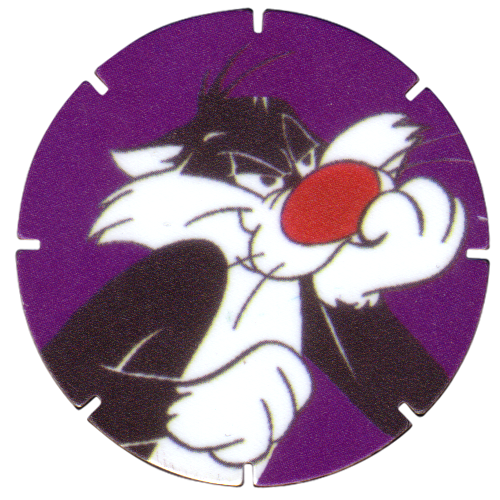 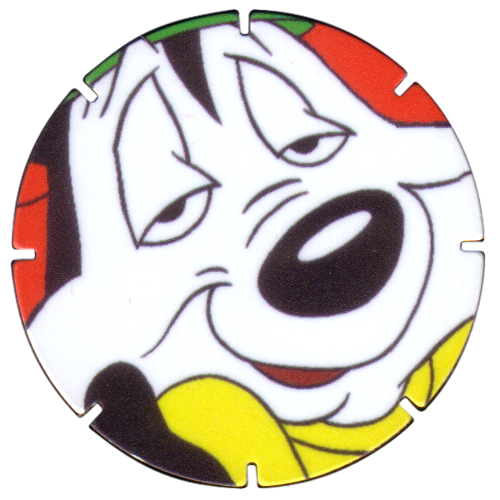 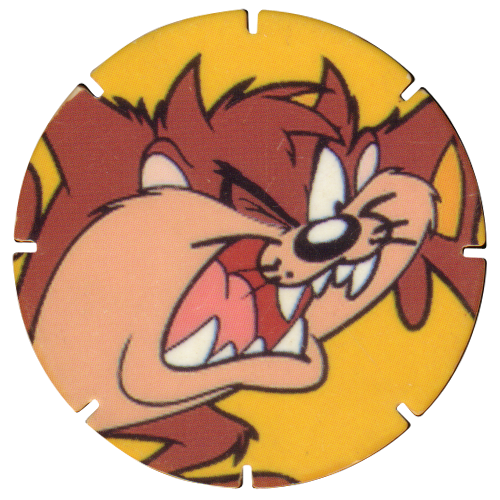 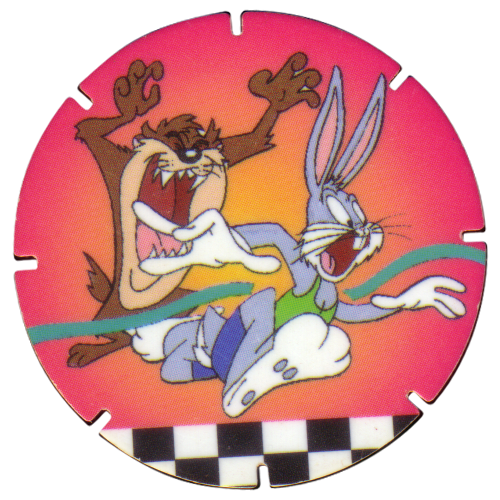 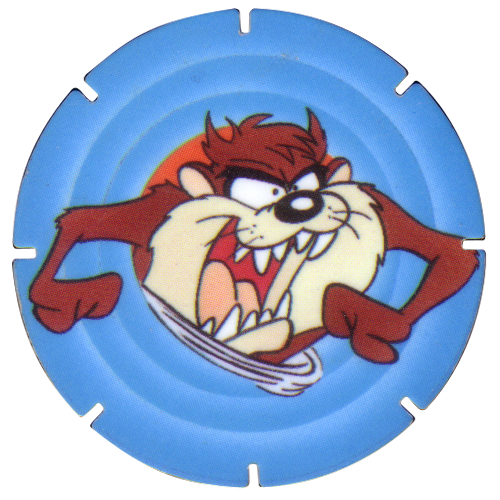 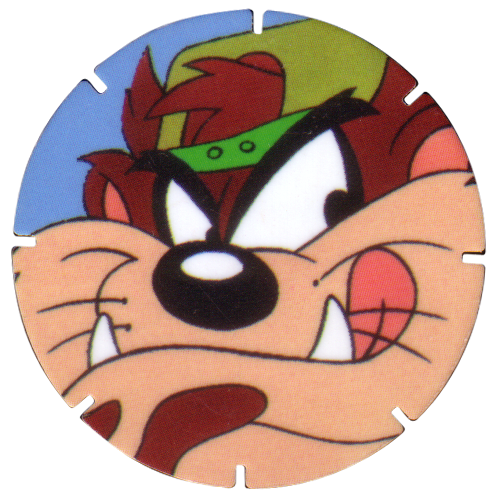 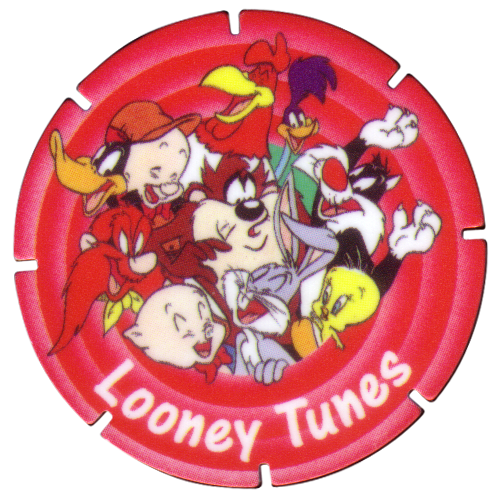 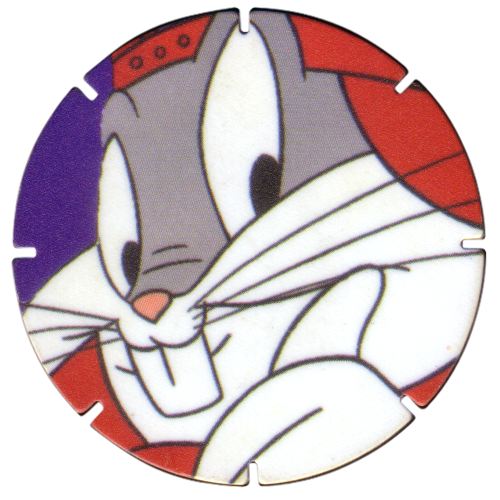 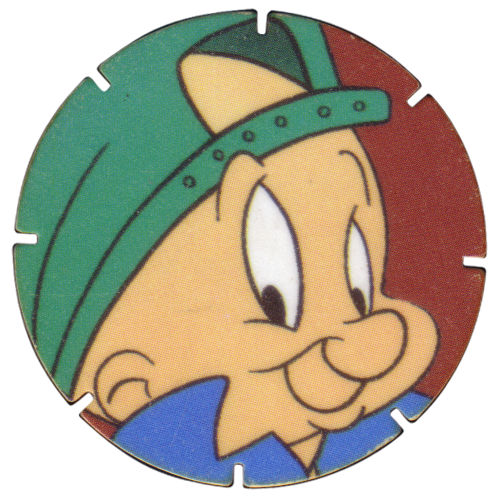 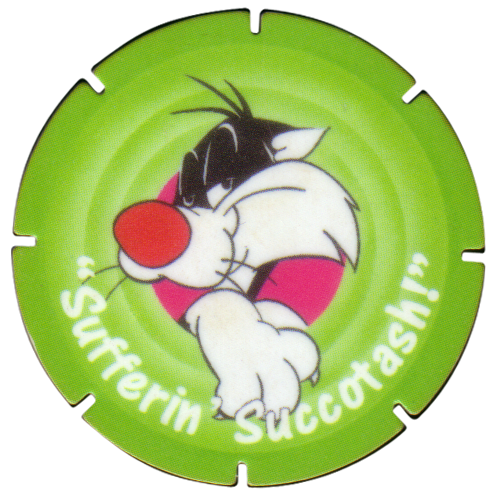 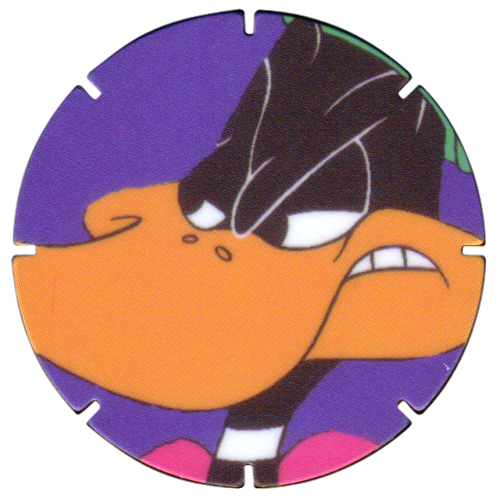 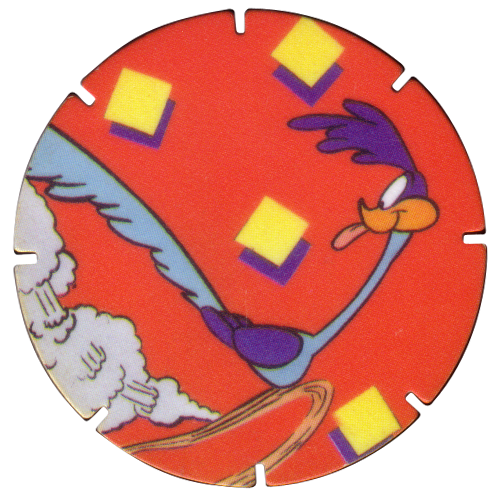 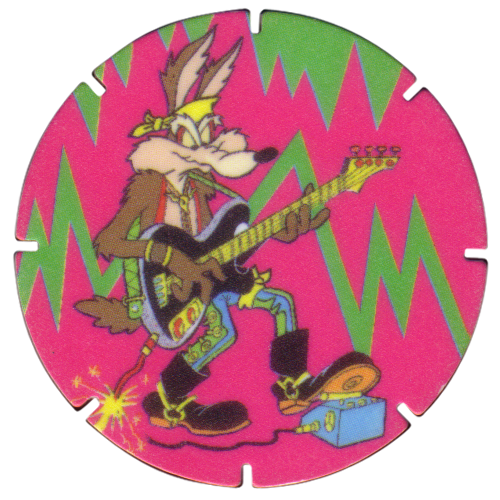 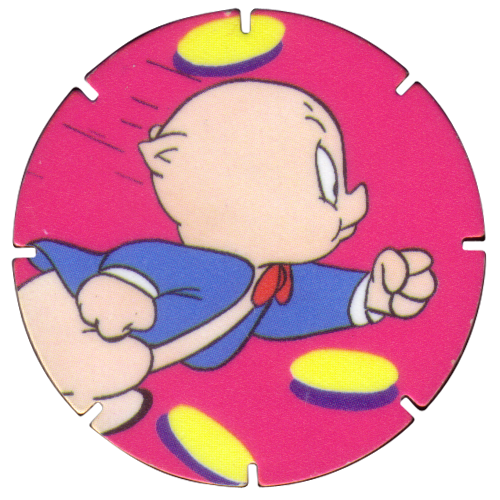 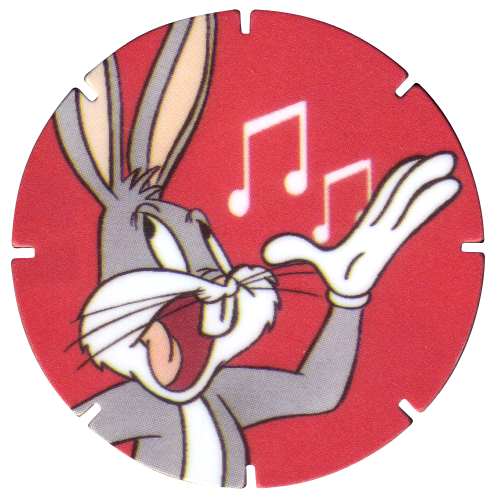 Info:Looney Tunes Tazos were given away in packets of Walkers crisps in the UK during 1996. 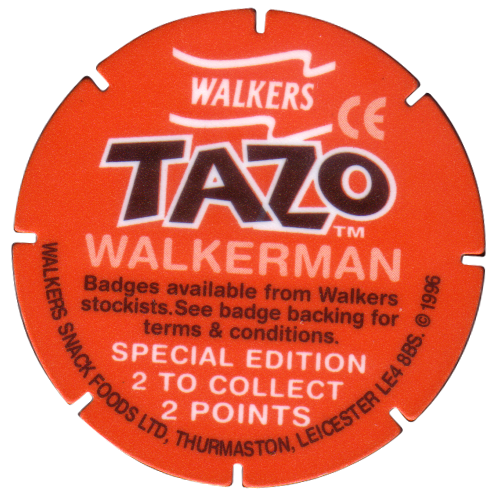 There are 50 Tazos to collect, plus 2 unnumbered 'Walkerman' Tazos. 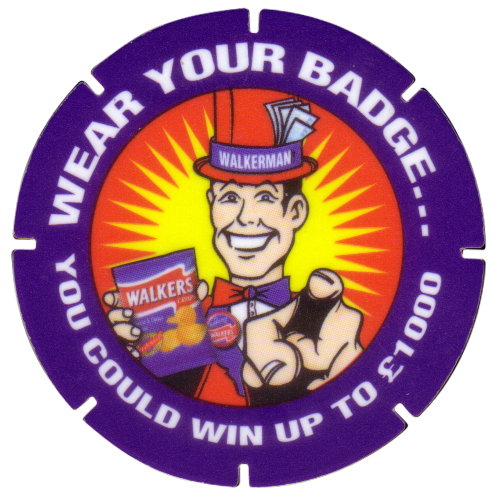 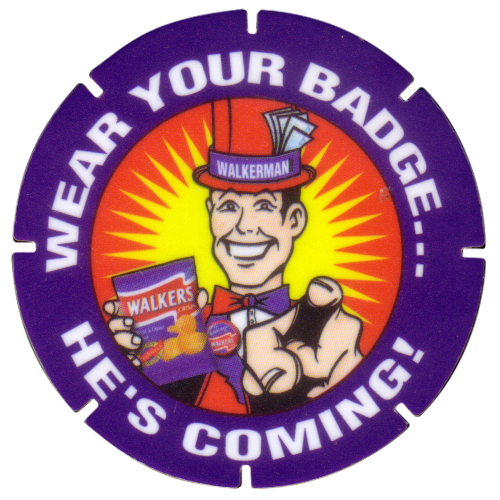 I think that the Walkerman Tazos could be exchanged for a badge, and if 'Walkerman' saw you wearing a badge, he might give you some money, up to £1000. 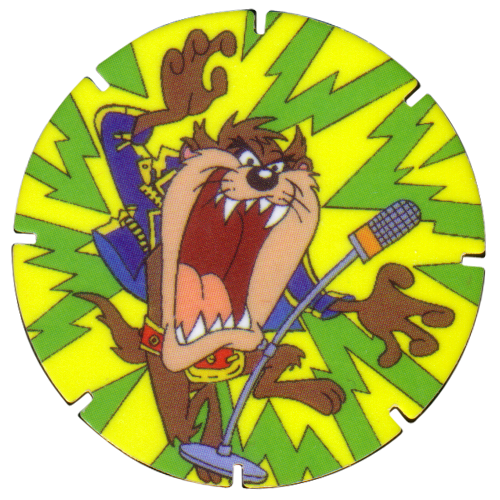 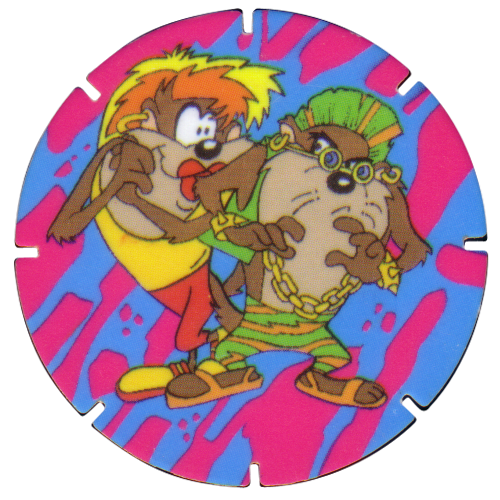 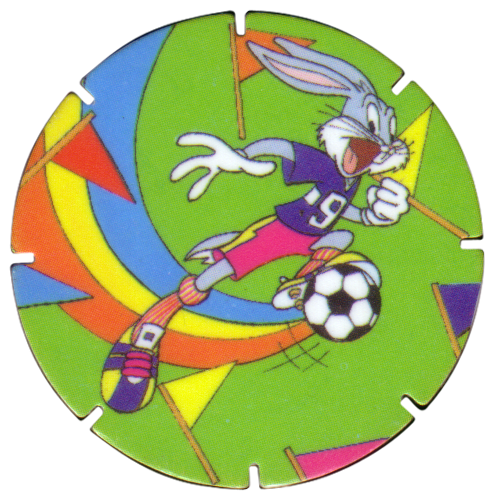 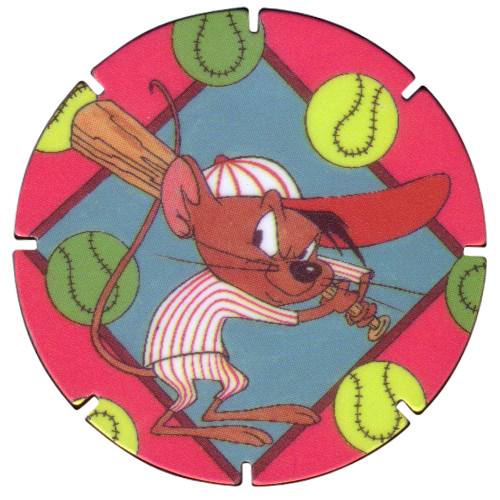 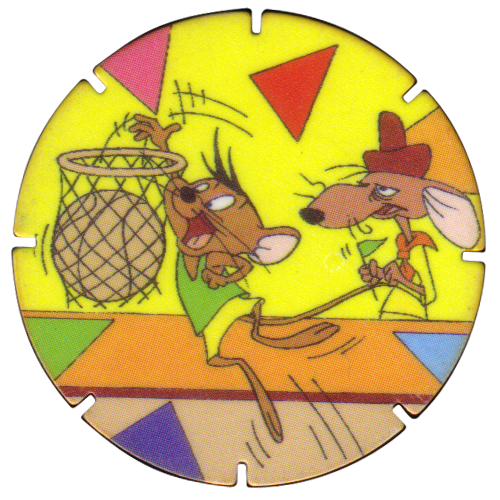 The Taz Tazos, numbers 21-30, were only available in packs of Doritos crisps. 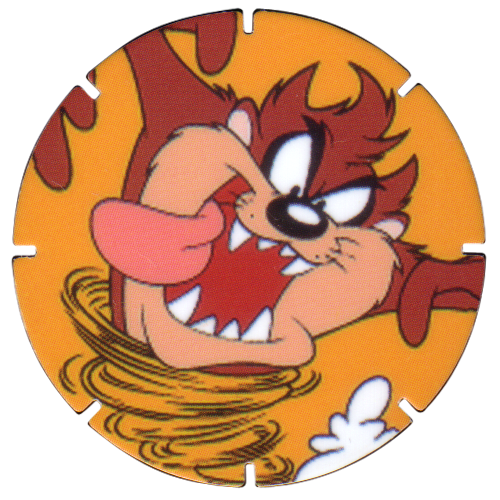 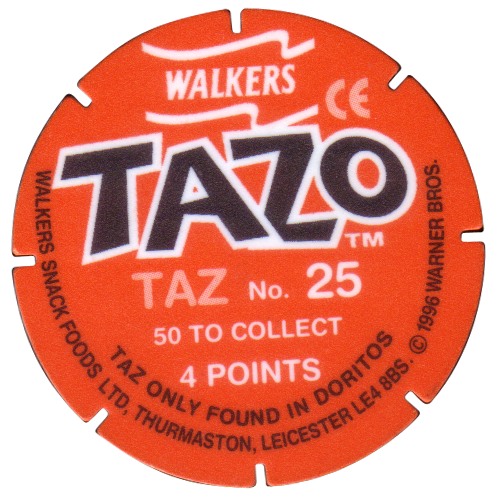 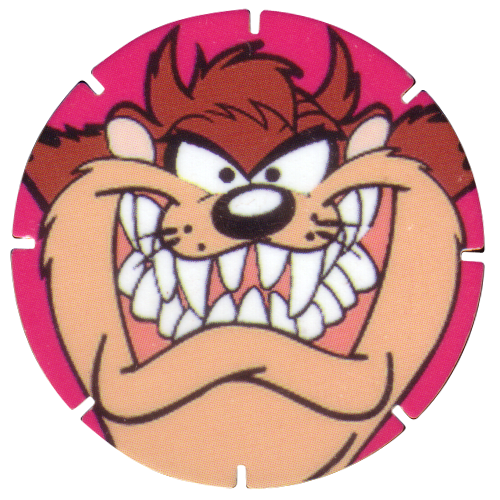 Since many less packs of Doritos were sold compared to standard Walkers crisps, the Taz Tazos are relatively rare. 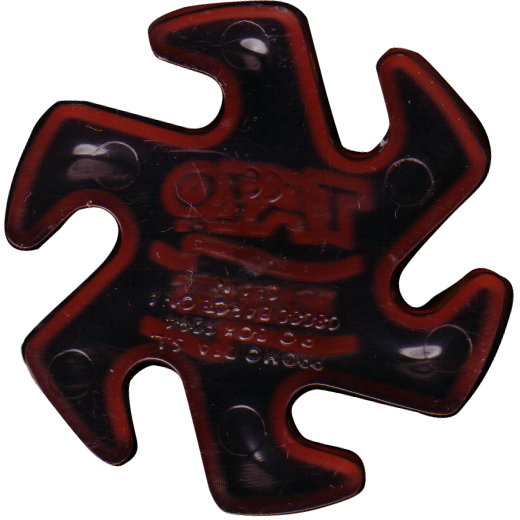 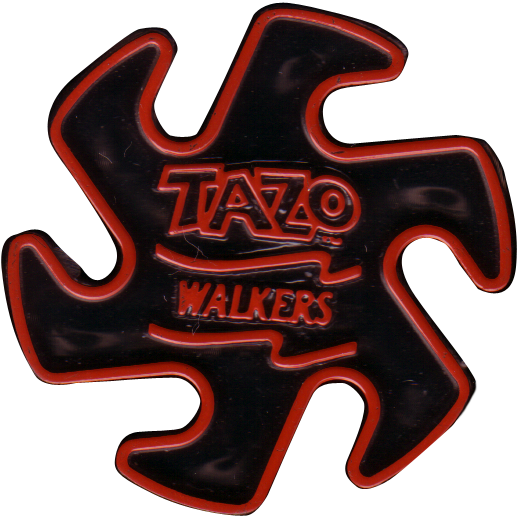 There was also a 'mega Tazo', which is a plastic slammer, shaped like it has 6 feet going round the outside of it.